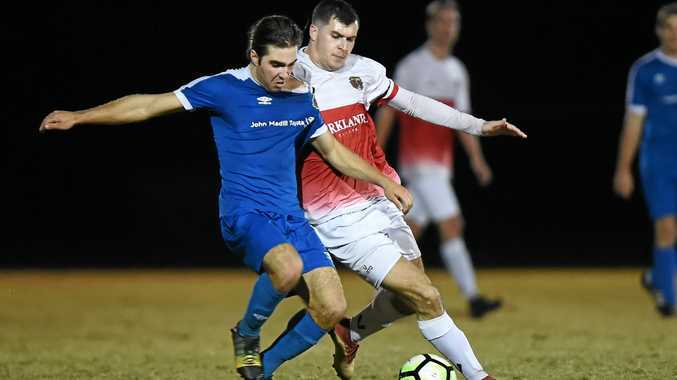 FOOTBALL: Noosa coach Kevin Aherne-Evans said a completely different mindset will drive the Lions as they seek redemption in the premier men's season decider. The Lions earned their second straight berth into the Sunshine Coast's football grand final after overcoming Caloundra Eagles in a thrilling major semi-final on Saturday night. After 90 minutes of play scores were locked at 2-2, with the sides forced to continue their fight in extra time. But in the 105th minute, Noosa snared a crucial goal and held on to finish with a 3-2 victory. "It was a great game and I thought it was an advert for our league to be honest with first and second taking the game to each other and both teams really wanting to win the game,” Aherne-Evans said. Aherne-Evans said Noosa had plenty of chances to blow the game out but were denied by the Caloundra's Dale Hill in goal. "Their goal keeper in my opinion put in one of the best performances I've seen by a goal keeper in a long, long time,” he said. They lost in the decider last year, but the Noosa coach was confident they could maintain momentum to seal the deal this time around. "Our attacking intent was outstanding (on Saturday) and some of our build up play was brilliant to watch and the way we controlled the game we go into the grand final this time with a completely different mindset,” he said.